CYCLISTS in Eastbourne have been enjoying the latest phase of a new cross-town cycle route. The new section of the route, which links Ringwood Road with Lottbridge Drove, following the route of the Horsey Sewer, was officially opened at an event recently. The route, which will ultimately link Eastbourne Railway Station with the Langney roundabout, has been developed by East Sussex County Council in partnership with sustainable transport charity Sustrans, Eastbourne Borough Council and town cycling campaign group Bespoke. The scheme was launched following a public consultation in 2010 in which 90 per cent of respondents said they supported the route. Cllr Carl Maynard, county council lead member for transport and environment, said: “The overwhelming public support for this scheme shows there is a real appetite for high-quality cycle routes in Eastbourne. “The new route will help with reducing congestion, improving air quality and boosting public health, while it also has economic benefits in allowing people without a car to access employment, education and training. “The real value of this route is that it will also connect with the railway station, allowing people to continue their journey via public transport. The latest phase of the route was officially opened by Cllr David Tutt, county council member for Eastbourne St Anthony’s, cycling organisations and the police and fire service were also present while Richard Godding, of Wheels Mobile Bicycle Repairs, offered a free ‘bike doctor’ service. 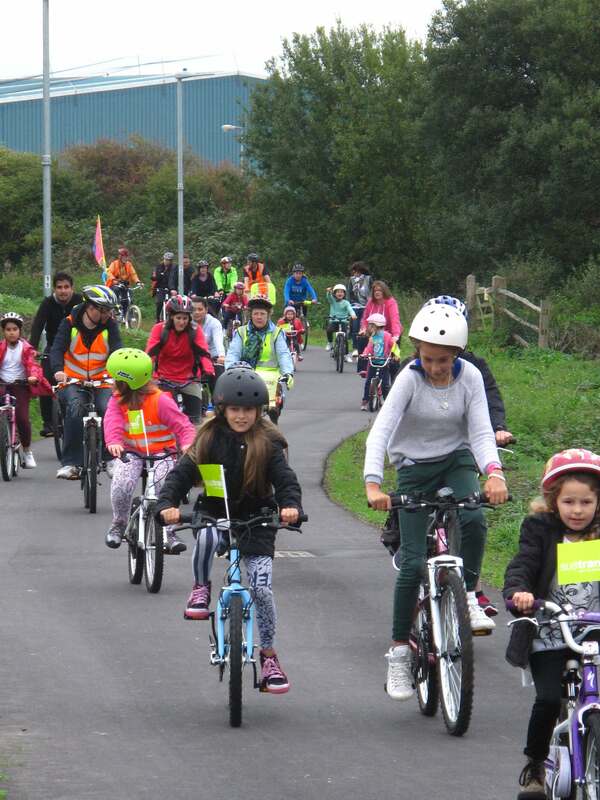 Meanwhile, children from Stafford Junior School formed a ‘bike train’ to christen the new route, and pupils from Roselands Infant School also attended the event. 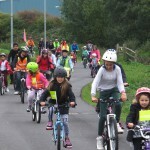 The route is funded by the Department for Transport’s Cycle Safety Fund and development contributions from the Sovereign Harbour development. The first section opened in March last year while the remaining phases of the scheme, which are expected to be completed in the next few years, will link Eastbourne Railway Station to Ringwood Road and Lottbridge Drove to Langney roundabout. This entry was posted in Transport and Environment on October 28, 2013 by martinf.